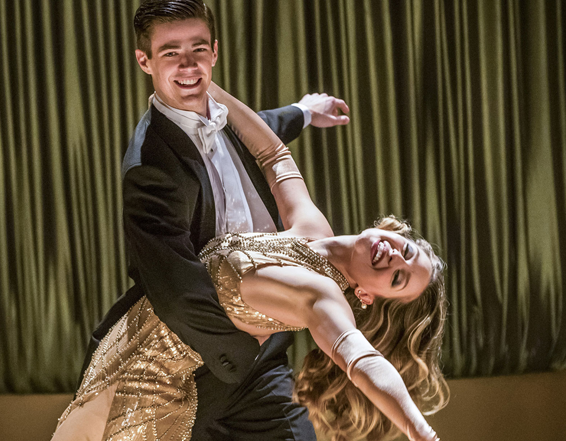 -These photos from The Flash/Supergirl musical crossover have me excited even though I’ve cooled on TF. I always forget the guy who plays Winn is a legit Broadway star (which is weird because I’ve seen The Last Five Years a bunch, but he doesn’t even seem like the same person in that). Also, this episode is going to make me ‘ship Barry and Kara, which is probably the opposite of the point. Oopsie! –Tom Hiddleston asked “what should I regret?” when questioned about his romance with Taylor Swift. The tank top, Tom. The correct answer is always the tank top. –George Michael‘s cause of death has been released: he died of natural causes due to liver and heart disease. –Michelle Yeoh will star as Eleanor Young in Crazy Rich Asians. I’m really liking how this adaptation is shaping up so far. -Can you imagine any other actor getting this into their ADR? Bless Hugh Jackman. -I liked this article on how “stepping out” — a phrase describing nothing at all — took over celebrity gossip. Now do one on “shows off” (as in “Actress shows off her baby bump!”) and “canoodling”! -CW just renewed Riverdale, which I’m increasingly liking (especially when it leans into the ridiculous mystery). The only issue? Archie is dead weight. He’s the new Dawson. -A new Fleet Foxes song? Yeah, I’ll take that. -Even Milo Ventimiglia doesn’t think there needs to be more Gilmore Girls episodes. -I love this article on the five things you probably missed when watching Get Out. -Lainey has more photos of Prince Harry and Meghan Markle at their friend’s wedding. –Emma Watson revealed that she used to ruin tons of takes on the Harry Potter movies because she couldn’t stop mouthing her costars’ lines.